The entire valley is laced with roads of every kind, size, dimension, and direction. Many of the back country roads are minimally traveled and make for splendid journeys into charted but unfamiliar territory. Hope to keep adding more on a regular basis. What a cute miniature lighthouse–what part of the river is this located? Yes, and there is a plethora of such things throughout my neighborhoods. 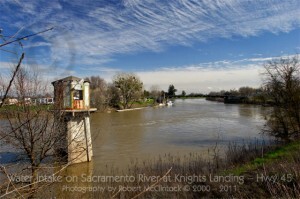 This is at Knights Landing, a tiny community northwest of Sacramento, along the Sacramento River. Your productions are amazing. Great art, intersting subjects, great photos, perfect exposures, and great music. It was a wonderful artistic experience going through your things. You are very gifted. Thank you, Ralph! I hope you bookmark my-neighborhoods and return for future posts.